Forget all the inventory – Trophy® Plus™ insulated cups offer a single-cup solution for cold and hot beverages, a common lid fit for five cup sizes and a smaller case cube to minimize warehouse storage space. 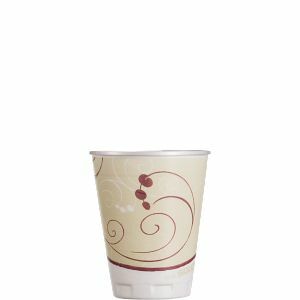 These durable and efficient cups also feature top-to-bottom print capability to showcase your brand identity. Two-cups-in-one option and 1 lid fits the five most popular cup sizes 12-24 oz. to streamline inventory. Five different lid styles available. The rolled rim ensures tighter lid fit, and durable construction with improved rigidity adds strength. Cozy® Touch™ provides insulation, reduces condensation and eliminates the need for sleeves/double cupping.